While the weather is always a subject of conversation, our recent weather has demanded widespread attention. Our daily average in April is between 8 - 12 degrees celsius. That's in the 40's - 50's fahrenheit. Today, though, we have a high of 4 degrees. There's promise that next week will be in the range of the averages. The 'potentially historic' storm for Southern Ontario is moving on slowly. There were power outages and hundreds of accidents. Ice fell from the CN Tower causing damage to the Roger Centre roof. Most institutions were closed. That was the weekend. Here we are on Tuesday, and we're nearing the end of the bad weather. Toronto's historic storm was in 1999 with 39 and then 27 cm of snow. The army was called in to help clear the roads. The rest of the country was amused. That may be because in comparison in 1999 Tahtsa Lake, B.C. set the record for the largest one-day snowfall with 145 cm falling within a 24-hour period. It delivered more snow than Calgary, Edmonton or Winnipeg see annually. Niagara's greatest blizzard was in 1977. There was a combination of 60 cm, with gusts of winds up to 80 km/hr. In some cases drifts covered over houses. There was a state of emergency in Ontario, and New York was declared a federal disaster area. 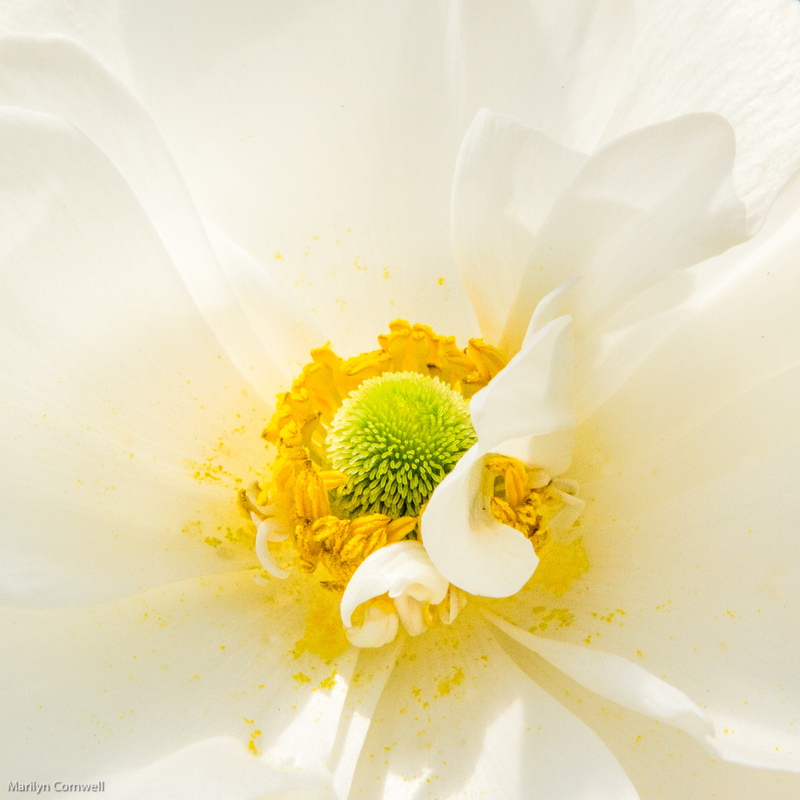 Our picture today is the centre of a white Ranunculus at Sunshine Express Garden Centre.